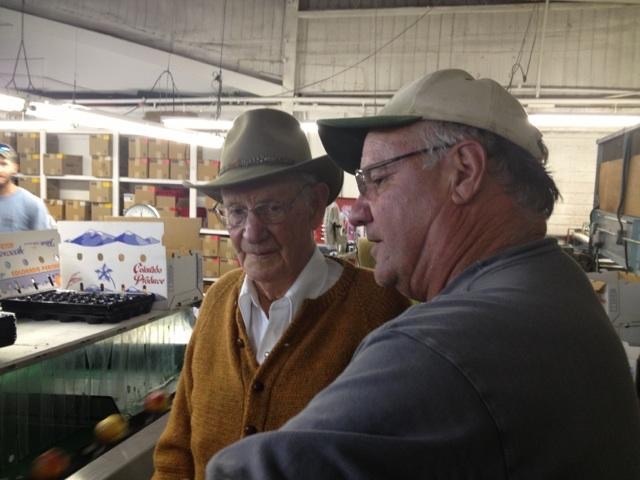 The Snowcapped Cider story begins in the late 1800’s with James Howard Williams (Pap) and the Williams family orchards. 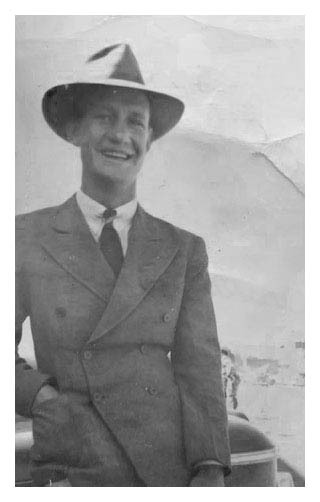 Pap met and married Bertha, a young woman from a Delta County Colorado cattle ranch family; and had 5 children. 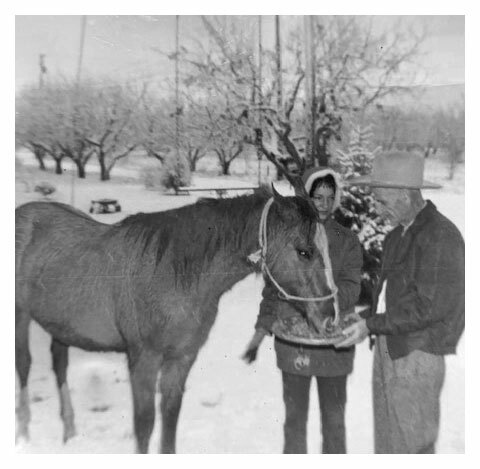 In the early 1900’s Pap and Bertha moved the family to Cedaredge and cleared their first 20 acres where they began growing apples & stone fruit including peaches, plumbs and cherries. Pap was very involved with packing and shipping fruit out of the Surface Creek Valley. Pap and his son, Orville (aka Ozie), packed and marketed their fruit grown on the first 40-acre parcel purchased by Pap, also known as “The North 40”. That packing shed, in use today, stands with much of the original equipment in place near Orville’s farmhouse, which is still surrounded by orchards. For decades packing and shipping fruit was time-intensive and challenging. Fruit was hauled from many orchard sites in flatbed semi-trucks to packing sheds located on the rail spur in Austin, Colorado. Wooden apple boxes were hand-made on site using tomahawks. The fruit was cleaned, individually wrapped in paper, and carefully packed in the hand-made wooden boxes; each box was loaded on to a rail car, sent from Grand Junction with huge blocks of ice, for distribution. Beginning with Pap, every generation of the Williams family has been integrally involved in the packing and shipping of fruit out of Surface Creek Valley. Always mindful of the needs of the local farming community, in any given time period, the family established or helped establish packing companies, partnerships and grower collectives. Ozie’s son, Dan, grew up farming. After college Dan came home to help manage the family farm with his Dad. They farmed, marketed, and packed their fruit. Dan married Connie and they welcomed a son. Ty, Dan and Ozie continued purchasing new land, expanding the farm and developing new growing practices. They were the first fruit farmers in Colorado to integrate trellis growing systems; and the first to add micro-sprinkler technology, propane heating systems, and wind machines. With the sale of older apple varieties declining, in 1986 Dan and Orville introduced the Gala, a new apple variety, to the Colorado market. As Ozie got older Dan and his son Ty took on the responsibility of the farm. They continued growing, marketing and packing their fruit in a 100-year-old packing building the family acquired known as, The Apple Shed. Connie, an accomplished artist, still owns and operates the Apple Shed, which includes an art gallery, tasting rooms, retail store, and restaurant. Ty and Dan added to the farm acreage and continued to embrace innovation. By 2016 operations had expanded; the Tomahawk facility was repurchased, and the Tom Tom fruit packing label was revived (and still used today). The Tom Tom label has a history going back to our early Eckert, Colorado packing company. It can be seen around town and on the fruit murals in Delta, Colorado painted by Connie. In 2014 Ty and his wife, Kari, created Snowcapped Ciders. 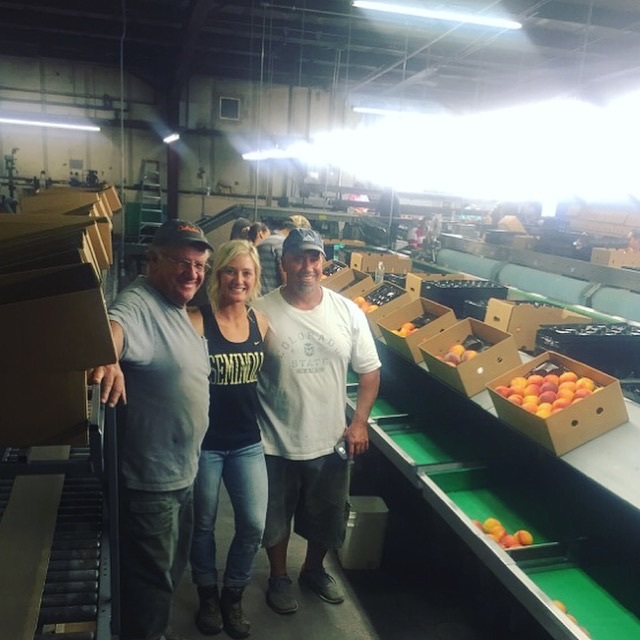 Dan is involved with the family fruit-growing business, working with logistics and packing, while Ty manages the growing practices and over sees cider production, and Kari manages marketing, sales and distribution. The kids, 5th generation are continuing the family legacy in Colorado fruit growing. Our carefully crafted Colorado grown hard ciders stand on over a century of fruit growing experience. Each generation has made a valuable contribution to the family orchards, vineyards and legacy. With our ciders, we are proud to continue our family’s legacy of quality, innovation, and commitment to producing exceptional fruit and quality fruit products.